**LATEST UPDATE: ALL OF OUR REFUGEE SPONSORSHIP WORK HAS NOW STOPPED DUE TO REDUCTION IN REFUGEE INTAKE BY THE CANADIAN GOVERNMENT AFTER THE ﻿﻿﻿﻿﻿﻿﻿﻿﻿﻿﻿﻿﻿﻿﻿﻿﻿﻿﻿INITIAL 2015/2016 INTAKE. ** Below is a description of our past work. Can you sponsor a Syrian refugee family? Since Sept 2015, we the Syrian Refugee Support Group Calgary have worked on connecting many sponsors to many Syrian refugees who have family and friends here in Calgary. We did this as volunteers by forming groups of 5 and signing papers through the generous help of the Mennonite Central Committee which is the Sponsorship Agreement Holder or SAH. 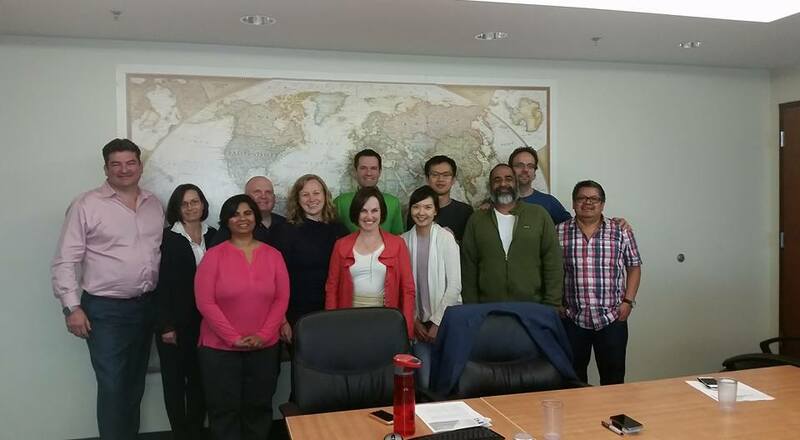 As of April 2016, the MCC is no longer signing papers – so private sponsorship can only happen via direct application through the Immigration Canada. The Group of Five sponsors should be able to provide an amount that is roughly equivalent to the local social assistance rate. 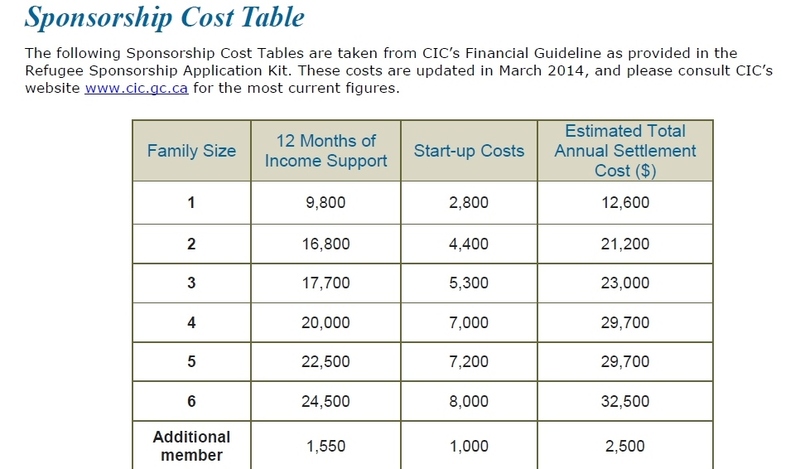 The Sponsorship Cost Table provides a guideline for estimating the costs of sponsoring a refugee for 12 months. For a family of four, 12 months of income support would be roughly $20,000 plus estimated start-up costs of $7,000 for a total estimated annual settlement cost of $27,000. Sponsors take on significant responsibilities when they apply to bring a refugee and their family to Canada. The sponsors are responsible for providing the group with care, lodging, settlement assistance and support for either the sponsorship period, usually 12 months, or until the refugee is self-sufficient. The government lists what sponsors normally provide including: food, rent, utilities, clothing, furniture, help finding a family doctor and dentist, help applying for health care and enrolling children in school and help finding language training. They should also help with introducing newcomers to people with similar interests, help them become oriented to their communities and help with their employment search. 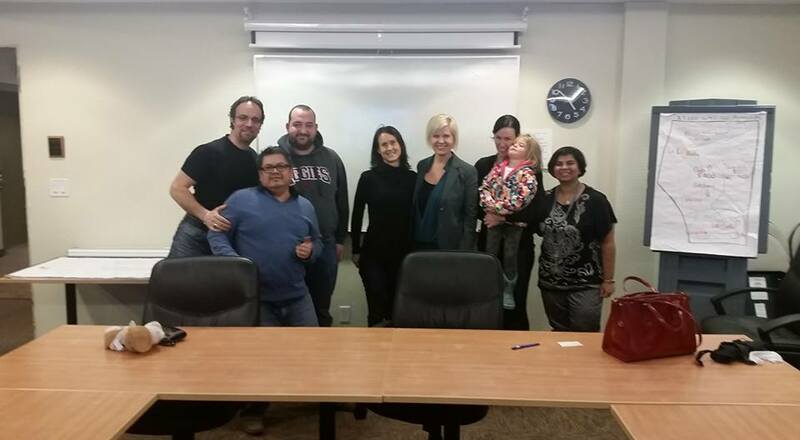 Papers signing to sponsor Syrian refugee family: On Sept 14, 2015, we facilitated this group to sponsor their first Syrian refugee family! Strangers and families coming together to make a group, understanding responsibilities and full process and signing papers with Mennonite Central Committee under the Community Sponsorship program. 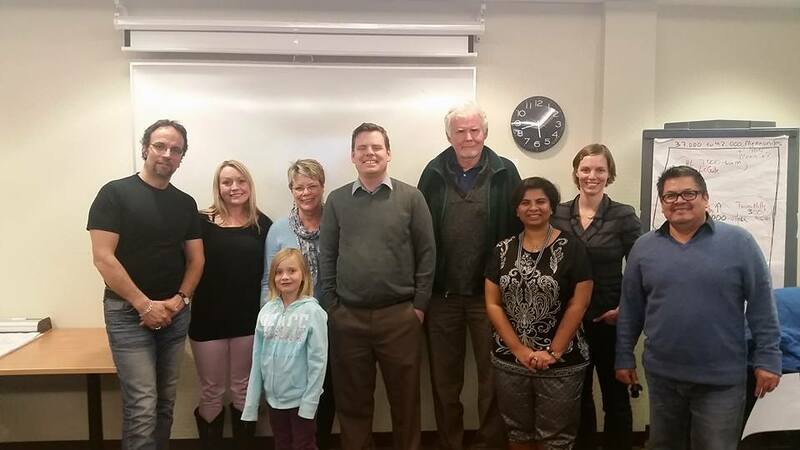 On October 8, 2015, we facilitated these 2 large group of generous Calgarians to sponsor 10 Syrian refugees from Lebanon to Calgary. Because of these individuals, there are desperate people in the other end of the world will see hope and light. My deepest thanks to these sponsors and the Mennonite Central committee for processing the applications. We saved lives on Dec 10, 2015! 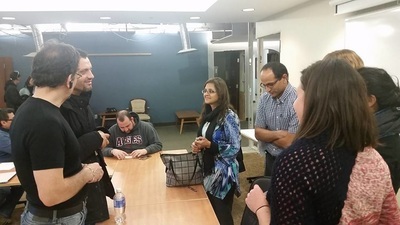 It took Saima 2 months to find 15 strong sponsors that made 3 groups of 5 people who collectively donated $74, 200 today plus signed papers with the Mennonite Central Committee to save the lives of 10 Syrian refugees directly and at least a 100 other Syrian family members will be affected by the generosity of each of these sponsors. These are true messengers of Canada's legacy of helping people escape war torn countries. We thank each and everyone of you from the deepest core of my heart! 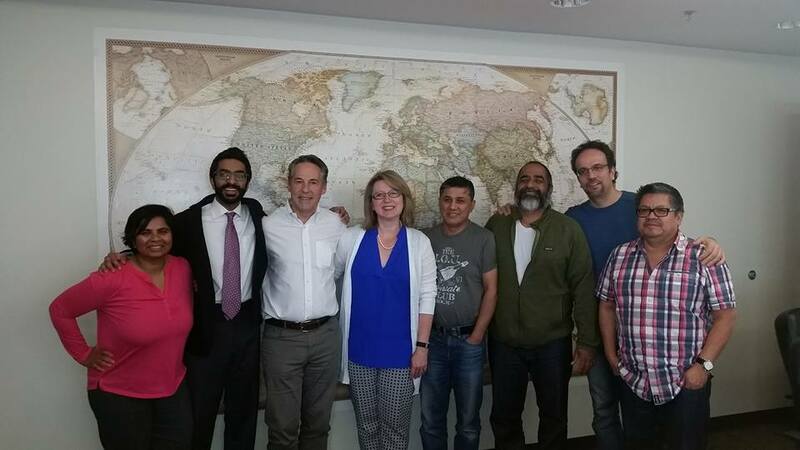 ﻿As global citizens of Calgary we are actively helping refugees that have arrived in our city to meet their basic needs and live in peace, dignity and happiness. To donate towards our effort, please email transfer your money to saimajamal2268@gmail.com password refugee. 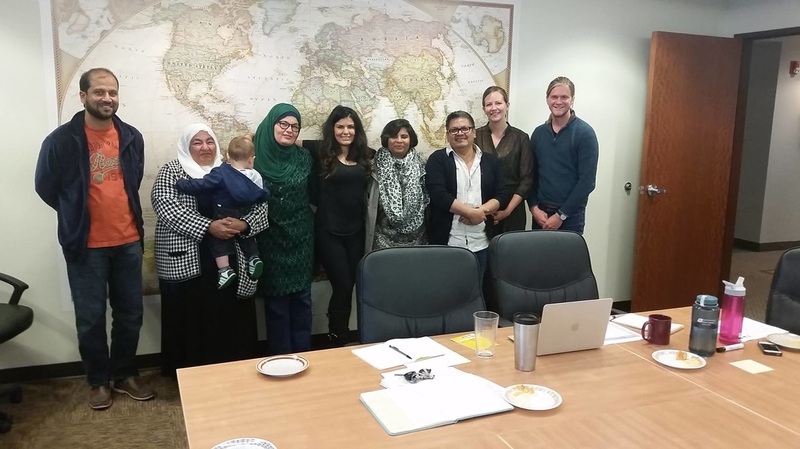 HOW TO HELP SYRIAN REFUGEES IN CALGARY? Q. I have clothes, furniture, kitchen and bedding? Where can I drop it off? A. We now have a warehouse in NE Calgary now. For location and donation drop off time, please message Saima. NO clothing donation accepted anymore! ACCEPTED are furniture, household, kitchen, school supplies, toys for kids over 8, refurbished laptops and bikes. They have to be in really good and or almost new condition. Old, stained, worn-out, dirty, broken donations will not be accepted. Finally, our deepest gratitude to the 100s of people that volunteered, donated, brought us food, coffee and drinks to the warehouse. Admins of the Syrian Refugee Support Group are in awe of the monumental strength this Calgary community has shown for this cause! Q.I want to volunteer as a translator, English teacher, transportation person who shows them the city, takes them shopping, takes them to the mosque or church, baby sit their kids, etc. A. There are 2 routes to volunteer. One is by registering with any of the 5 resettlement agencies or by registering with us, the citizen’s action coalition of volunteer coordinators. To volunteer with us, please fill up the following form at this link: https://docs.google.com/forms/d/1gDWeiFMEl_y7iw9rnD9Yb6Xnbf0-W710mcsUxqTnpx4/viewform You will be asked to volunteer in the warehouse. If you have a truck or SUV, please bring it with you to the warehouse. If you want to work with refugee minors, it requires police clearance and it also requires you to register with any of the 5 resettlement agencies. These are Calgary Catholic Immigrant Society, Centre for New Comers, Calgary Immigrant Women’s Association, Immigrant Service Calgary and Calgary Immigrant Educational Society Welcome Centre. Please google their website for volunteer information. Right now we are in the process of building a database of volunteers, to be ready when new comers ask for our help. Q. Can you please tell me when Syrian refugees are coming to the airport so we can welcome refugees in the airport? Q. How can I sponsor Syrian refuges? How much does it cost? What are my commitments? A. We are helping with this.We need Calgarians to stand up as sponsors. All info on sponsorship is here: http://www.saimajamal.com/syrian-refugee.html (scroll up). Q. I have free or subsidized room in my house or rental property. Where can I offer? Q. Where can I donate to help Syrian refugees? 1. Help in resettlement of refugees by buying them grocery cards or household items. 2. Pooling the money for refugee sponsorship for those who still want to contribute but cannot afford to be a full-fledged sponsor. If you are looking to do a fundraiser, sponsorship fundraising is greatly needed. 3. Fund our expenses for refugee work. Please note we are not a registered organization. We cannot give you any charitable receipt. We are a bunch of community volunteers working non-stop since end of August on the refugee issue. We created this account out of necessity to fund our grassroots efforts. For those who want charitable receipt to help Syrian Refugees in Calgary, please donate to any one of the above resettlement agencies. Long underwear, scarves, gloves, toques, lotion, bus tickets. Hope this answers most of your questions. Please note we are overwhelmed with your queries on helping Syrian Refugees. We are working for free round the clock to do everything we can to welcome refugees to their new home. We really appreciate everything you are doing to rally support for the refugees. 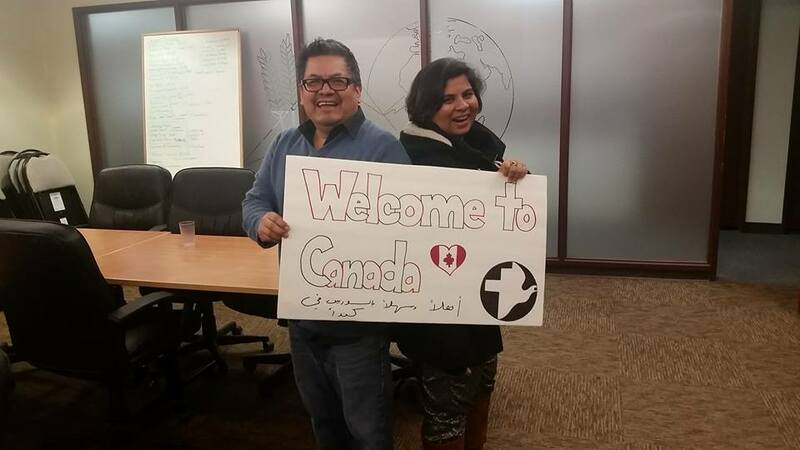 The Calgary Catholic Immigrant Services are the government agency for resettling refugees. They are doing the primary work. You can get involved with them by visiting their new website www.srcalgary.ca. They have volunteer and in-kind donation info here. ﻿﻿﻿﻿﻿﻿﻿On Friday, Sept 4, 2015, we hosted an emergency rally in Calgary City Hall. Tens of thousands of desperate Syrian asylum-seekers are crossing the Mediterranean to Europe, contributing to a maritime refugee crisis of historic proportions. Many are dying during this dangerous journey and pictures of them including little kids washing ashore has left Canadians feeling heartbroken and helpless in this crisis. 1. 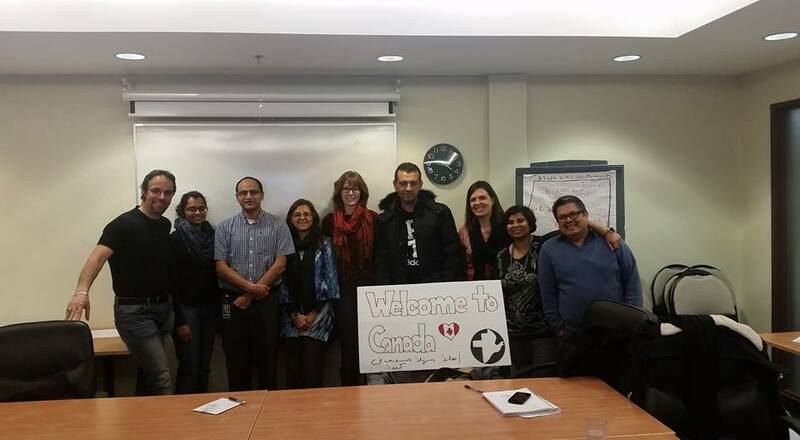 Working with the European governments to take more Syrian refugees in Canada. 4. By addressing the root causes of this crisis situation, the war in Syria, in a comprehensive fashion that recognizes the mass destruction caused by the Syrian government’s use of barrel bombs and chemical attacks against civilians, the role of ISIS and Western military intervention in that region. After a successful rally in Calgary City Hall, on Fri Sept 6 we hosted a large fundraiser to sponsor Syrian refugee families. Here we raised ~$53,000.